Greetings from Iceland…wish you were here! 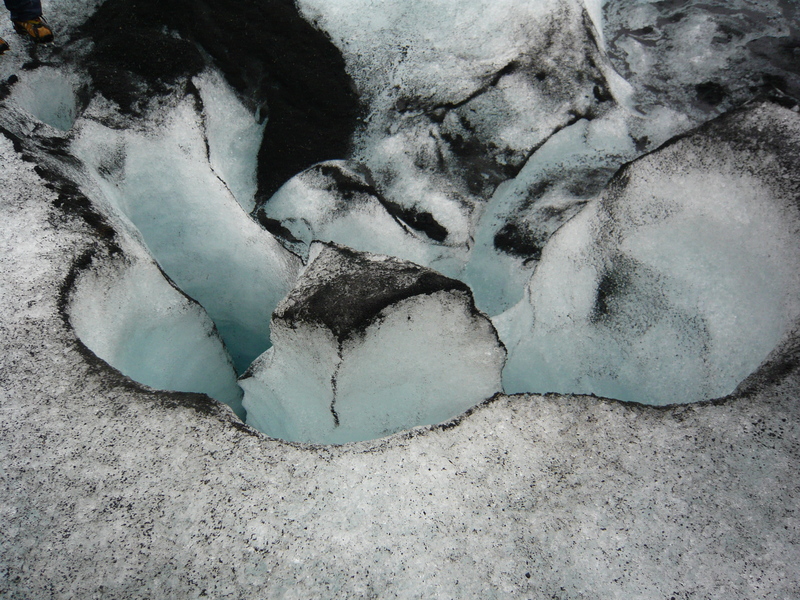 Photo taken in August 2008 at the Myrdalsjökull Glacier. I took this picture during my first ever ice walk on a glacier. I always wanted to try it. During a week long trip to Iceland, I couldn’t think of a better place to give ice-trekking a whirl. I signed up for a full-day excursion and was not the least bit disappointed. The weather was icy cold and frozen drops of rain fell over our freezing bodies. Yet walking on a real live glacier was an experience I’ll never forget. The ice formations were spectacular and the colors were absolutely magnificent. It saddens me that the worlds glaciers are rapidly shrinking and disappearing. I hope to make it to the top of Mount Kilimanjaro before the snow-covered glacier is all but a long ago dream. I’ll keep my fingers crossed! This photo comes from my first ever Freshly Pressed post on WordPress. Click here to read it in full. Lost in Iceland: A Day ice-trekking on the Myrdalsjokull Glacier. Thanks for your comment! I do love glaciers and enjoyed visiting this one as well as some in Argentina. Ice can be so colorful! You just have to look…thanks for reading.